Summit X430-48t (48) 10/100/1000BASE-T, (4) 1000BASE-X SFP, Unpopulated SFP, 1 AC PSU, L2 Edge Lic. The Extreme Networks® Summit® X430 series Gigabit Ethernet standalone switches provide essential network edge connectivity solution for branch office, enterprise edge and small & medium businesses. 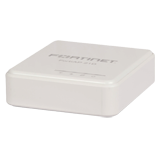 Summit X430 series are available in 28- or 52-port 10/100/1000 Mbps port models and are ideal for network convergence of IP communications, wireless mobility, streaming media and multicast traffic into single unified edge network. The Summit X430 comes in a compact 1RU format & 10inch deep form factor along with low acoustic noise makes it ideal for open office & wiring closet environments. Summit X430 series switches support up to 4 fixed front panel 100/1000BASE-X (SFP) unpopulated ports that can be utilized for high-speed backbone or link aggregation connections between wiring closets. Summit X430 series helps simplify network operation with the ExtremeXOS® modular operating system (OS), which is used amongst all Extreme Networks® Summit® and BlackDiamond® Ethernet switches. Powered by ExtremeXOS, Summit X430 helps build highly resilient and secure edge networks that provide continuous network uptime, ease of manageability and simplified operational efficiency with lower total cost of ownership. The Summit X430 provides exceptional Policy-based QoS with advanced traffic management for converged applications. 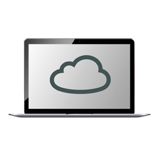 With eight hardware queues per port to support granular (8kbps-1Mbps) traffic classification provides flexible yet reliable solution for converged data, voice & video traffic. 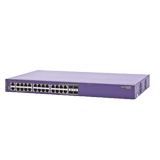 The Summit X430 Series extends the intelligence, insight and control of Extreme Networks XOS to the unified edge in a compact, cost effective series of stackable switches.